Anyway, I am so lucky because I was chosen to blog about this product product from Nature Republic for their Nature Republic Blogger Review Campaign and thanks to the OnlyBeauty for this opportunity. First of all let me introduce you with my skin type and conditions. I have pale and fair skin and my MAJOR problem is BLACKHEADS!! 4) Easily breaks out for no reasons. LOL! So the product that I received came in a medium size box. Inside it has 3 products that can help you to achieved the blackheads-free skin. This is the smallest packaging in this box. 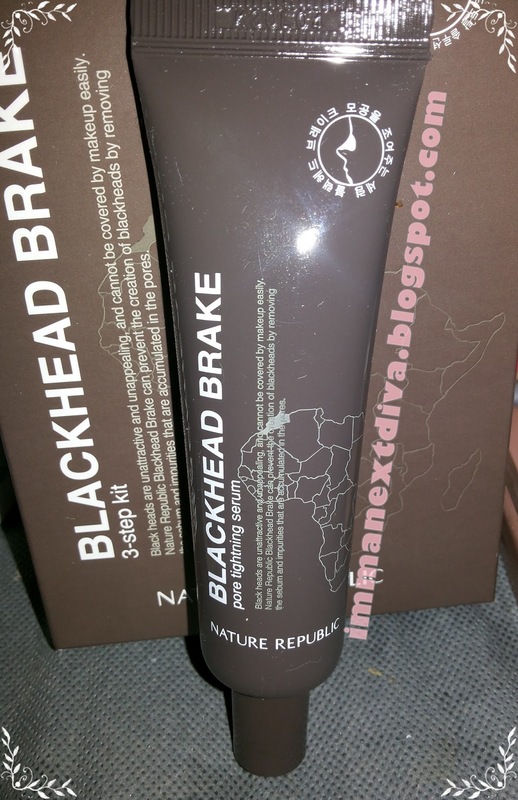 The purpose of this product is it helps to "soften" your blackheads. After you wash your face apply this toner with cotton pad on the problem areas like nose and your cheeks. It helps to soften the "stubborn" blackheads and open your pores. Overall: I love the fact that it claims to soften the blackheads, but I think this product is pretty similar with other regular toner. 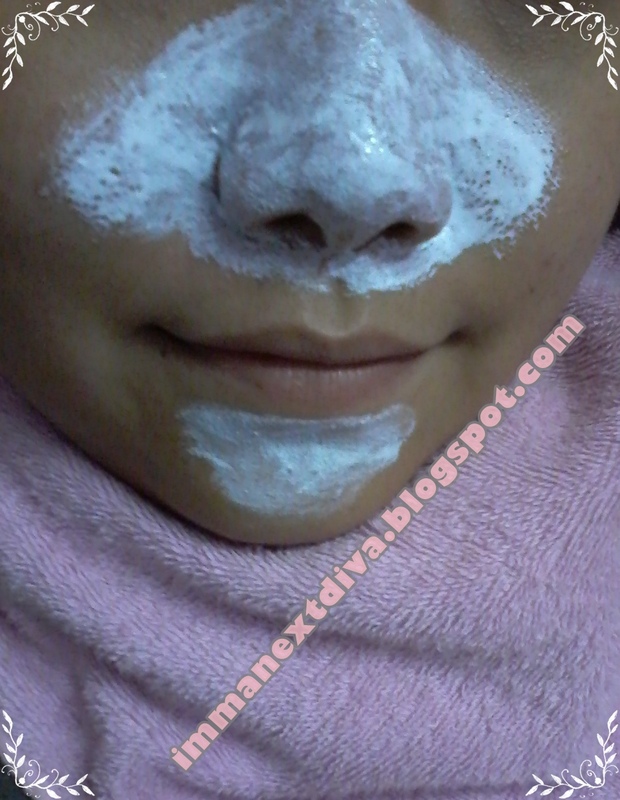 I applied this mask of the toner to the problem areas and yes I do have a little bit whiteheads in my chin area . Apply this mask until you no longer see your skin and wait until it completely dried before it is ready to be peeled off. 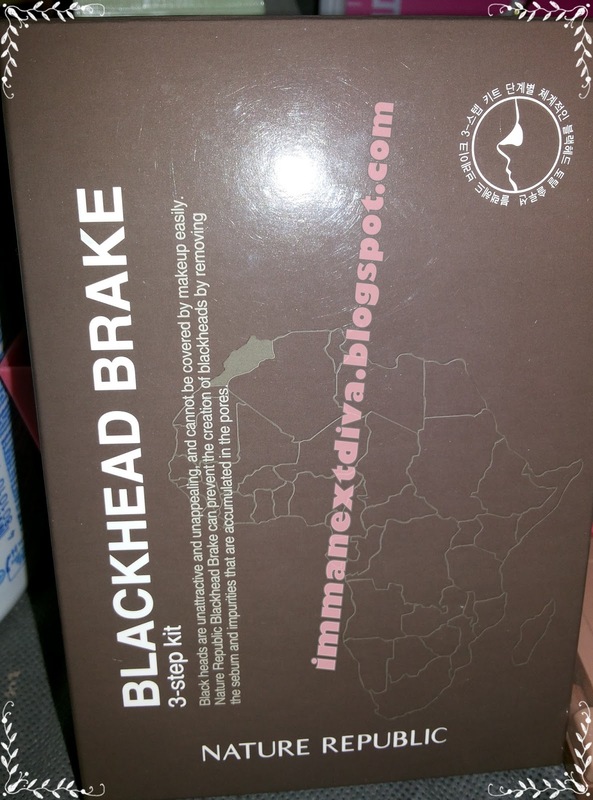 The purpose of this product is to remove all of the blackheads on your skin. I the first time I saw this product I was a little bit nervous because I had a nightmare with peel-off mask from Daiso last year. Due to my sensitive skin,I can not used any peel-off mask because it burned my skin like crazy. Fortunately, this mask is good with my skin. It does not burn my skin at all and I feel comfortable using it everytime. Overall: It does not burn my super sensitive skin at all which is good. This product is not as effective as my Biore nose pore strips but I love the matte feeling after I peeled off the mask. This product is literally my favorite among all of these. The purpose of this serum is that you apply it after you removed the peel-off mask and it helps to tighten your pores and "block" the access oil. Overall: I am in LOVE with this serum eventhough I'm not following the 2-steps above I wear this baby alone before I do my makeup. It makes my nose matte for over 2 hours. 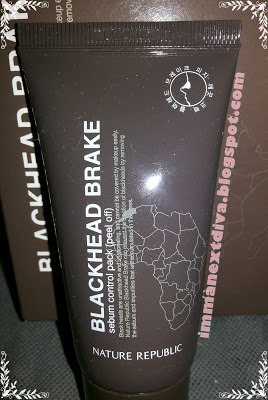 This one is acting like primer for my problem areas and I even consider to buy this product in the future. I love it so much!! So where to get this product? I f you live in my area around Shah Alam the nearest outlets are Sunway Pyramid and One Utama. Visit OnlyBeauty because they are AWESOME and gave me this opportunity to try out this amazing product!! P/s: This is not a sponsored post in any way and I am COMPLETELY honest with you like always and nothing influenced my opinions. I've been using these products for 3 weeks before I decided to blog this review.